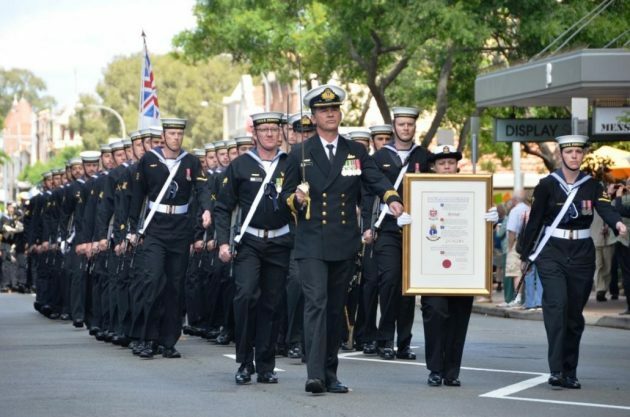 Join the officers and sailors of HMAS Penguin as they conduct a Freedom of Entry parade through the streets of Mosman. The march will include the Commanding Officer and crew, accompanied by the Royal Australian Navy band. They will march from Prince Albert Street, along Military Road, into Gouldsbury Street, and along The Crescent to the Mosman War Memorial. HMAS Penguin will exercise their right to the Freedom of Entry into Mosman in celebration of HMAS Penguin’s 75th anniversary.